World Vegan Day provides the perfect opportunity to recognise and celebrate the 350% increase in the number of people opting for a vegan lifestyle within the UK. Whilst additionally highlighting the significant and pressing issues that cause individuals to embrace vegan alternative products. Switching your toothpaste to a vegan alternative can help both your smile and the world we live in. White Glo’s Pure and Natural toothpaste is completely vegan and organic. Free from fluoride, harmful chemicals and bleaches that are often incorporated into tooth whitening products, White Glo’s toothpaste formula whitens teeth with natural ingredients. Worryingly there are an estimated one billion plastic toothbrushes contained within landfill sites across the U.S alone. To try and combat this, White Glo’s toothpaste includes a free biodegradable bamboo toothbrush that naturally decomposes as opposed to plastic toothbrushes that take an estimated 400 years. Most importantly, switching to vegan friendly cosmetics means products are 100% cruelty free. Purchasing vegan cosmetics instantly shrinks the support for animal testing. Moreover, using vegan cosmetics can have benefits for the individual user due to the avoidance of animal by-products such as lanolin which commonly blocks pores and encourages acne. Vegan cosmetics are also perfect for individuals with sensitive skin, due to the limited number of ingredients used to formulate them making it less likely to irritate skin. The naturally sourced plant ingredients used within vegan cosmetics means that inherently vegan formulas contain a greater about of vitamins, perfect for keeping skin supple, healthy and bright. Currently, non-vegan shampoos contain Sodium Lauryl Sulphate (SLS) which has been proven to encourage hair loss. Whilst natural plant-based alternatives such as tea tree oil and jojoba extract stimulate hair follicles and the paraben free formula incorporated into vegan shampoo further reduces hair damage as opposed to non-vegan alternatives. Another simple and effective vegan swap is substituting the plastic hair brush for a more sustainable alternative, such as a bamboo and rubber hairbrush. Choosing a vegan hairbrush is consequently better for the environment as materials such as bamboo and rubber are biodegradable. Whilst detangling hair is a painless and gentle process that preserves hair and prevents breakage. Vegan hairbrushes tease the scalp releasing natural oils that promote healthier, shinier and stronger hair. It’s clear that small modifications to vegan alternative products have an endless list of advantages from protecting the environment, benefiting health and improving aesthetic appearance. So, get shopping! Samples are available for press. UK Stockists include; Boots, Superdrug, ASDA, Tesco and Morrisons. 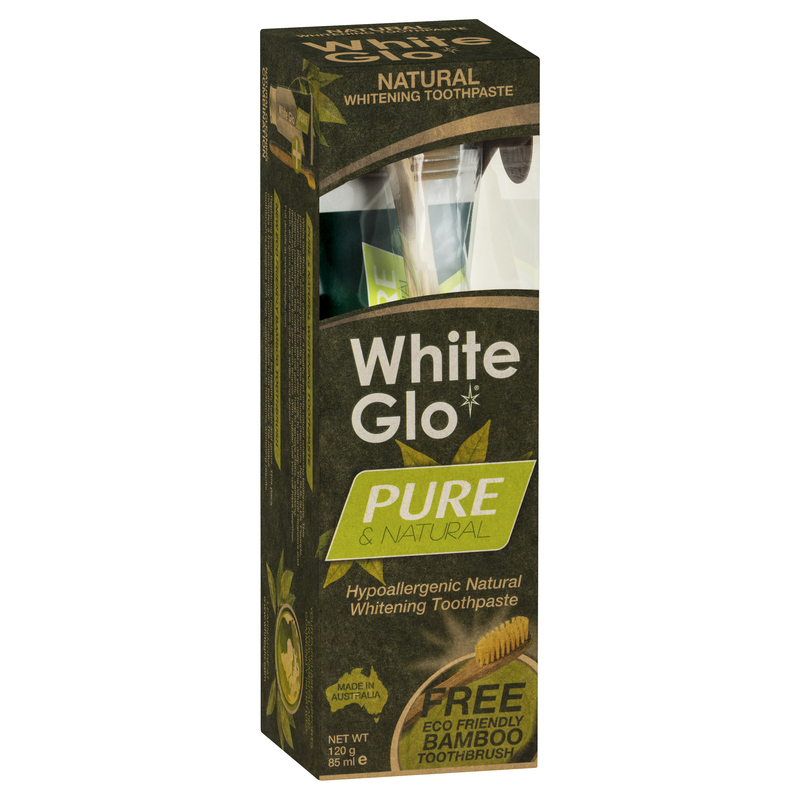 White Glo was first established in Australia in 1993 and was the first company to introduce teeth whitening products to the Australian market. White Glo is one of the market leaders in Australia’s whitening toothpaste and teeth whitening industries. White Glo products are now sold in the United Kingdom, South Africa, Russia, Singapore, China, Hong Kong, Japan, Middle East, New Zea-land, Papua New Guinea, Greece, Philippines and Cambodia. This press release was distributed by ResponseSource Press Release Wire on behalf of Kin Communications2 in the following categories: Men's Interest, Health, Women's Interest & Beauty, for more information visit https://pressreleasewire.responsesource.com/about.